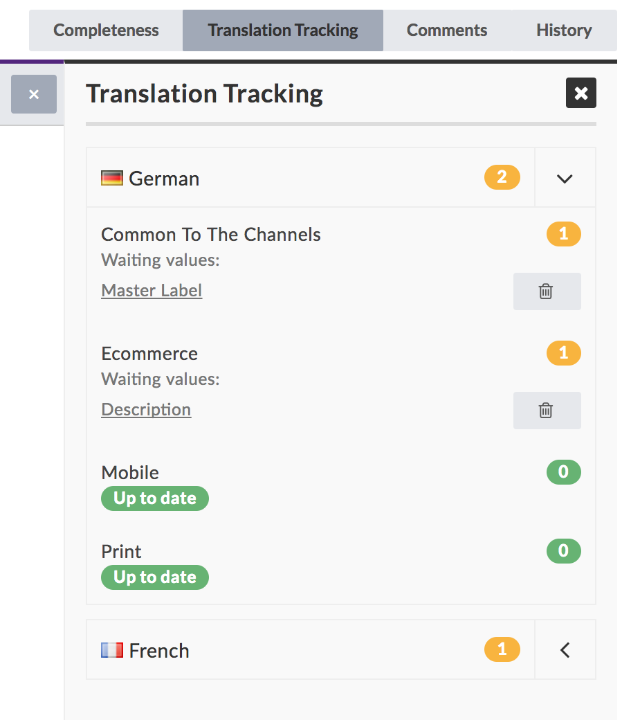 This tracking translation bundle adds a widget on the dashboard and a panel in the product view dedicated to the translation management. When a localized attribute value is changed in a configurable master locale, values for other locales are tagged "translation needed". A dashboard widget displays pending translations. In the product view, a new panel displays the pending translations and allows you to switch to translation mode for each of them. PIM2Catalog is compatible with Community and Enterprise Editions.